The Condo Association Board Advocate is the first of the Condo Association Board personality series. The Condo Association Board Advocate is a valuable member of your Condo Board. In short, they’re looking out for the little guy. This is usually a great thing for the Owners. But is it great for the Association? The Advocate has your Owners’ well being first and foremost in their mind. Gets Along With: The Socialite – The Socialite is similarly focused on Owners and the “community” aspect of a Community Association, and the two find common ground. Clashes With: The Prosecutor – The Judge is all about the rules. The Advocate will look for reasons why rule-breaking is OK, such as extenuating circumstances or poor Association explanation of rules. This drives the Judge crazy – what’s the point of rules if no one enforces them? 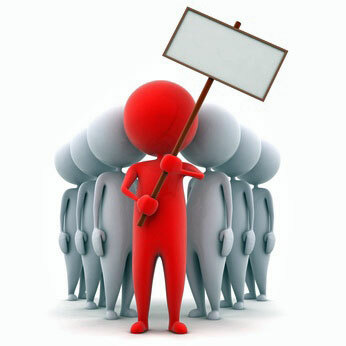 The Condo Association Board Advocate’s main focus is the Owner. Whenever an issue is brought to the Board, the first thing they think of is “How does it affect the individual Owner?” This often makes them extremely compassionate and friendly. They bring a very human element to the Board. They excel at smoothing rough edges and making sure that individuals within the community are considered. Their focus on the individual, however, means they struggle with looking out for the Association as a whole. The Advocate is an important addition to every Board. Boards often – rightfully – are accused of running roughshod over Owners. They do dumb things like ban the American flag. Having an Advocate on your Board ensures that someone is always looking out for the Owners. If there’s a major project coming, the Advocate will make sure that Owners are protected as much as possible and that the human element is considered. They will push for things like financing options in special assessments and minimizing the impacts of major projects. If you’re an individual Owner, you can know that the Advocate will have your back. The Advocate’s biggest weakness is that they put the good of the individual ahead of the good of the Association. The job of a Board is to look out for the Association. Sometimes that means inconveniencing Owners, or enforcing rules, or otherwise making Owners unhappy. The Advocate struggles with this concept and can have challenges with the concept of fiduciary duty. At times, the Advocate goes too far and is willing to inconvenience 95% of the Association to protect 5%. The Condo Association Board Advocate must learn to balance when looking out for the few becomes hurtful to the Association as a whole. Real shrews are much cuter than Board Shrews. No Board member is immune to breaking bad, and the Condo Association Board Advocate is no different. 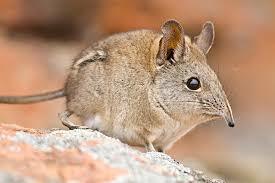 When the Advocate breaks bad, they become the Shrew – a terrible nag who has no interest in helping the Association. The Shrew will get deep in the weeds and attempt to micromanage any project under the guise of “helping Owners.” The reality is the Shrew doesn’t really care about Owners – they just want to come up with reasons to nitpick or jam up projects. If the Shrew isn’t kept in check, they will dramatically increase the costs and timetables of projects through unnecessary over planning. They will drive other Board members, Management, and vendors crazy, squandering good will. The Advocate wants to ensure that Owners are being considered. Other Board members need to make sure they hear out the Advocate’s concerns and should seek to address legitimate concerns raised by The Advocate. Adjusting a plan to have Owner-centric elements will make the Advocate happy. A Board should leverage that the Advocate is willing to fight for the Owner to make sure you didn’t take the “easy” route on a project. This perspective is valuable when dealing with major projects, special assessments, or even hearings, and can result in a more pleasant experience for the community as a whole. Conversely, the Board needs to put its foot down when The Advocate is spinning out of control. Remember that the Board’s job is to carry out its fiduciary duty and put the Association – not an Owner – first.